Nicaragua is poise to collaborate with Bolivia on a geothermal energy project on the Laguna Colorada field near the city of Potosi, according to a report by SeeNews. Potosí is the capital of the department of Potosí in Bolivia. It is also one of the highest cities in the world by elevation at a nominal 4,090 metres. The collaboration was announced by Ernesto Martinez, CEO of Nicaraguan power company Empresa Nicaraguense de Electricidad on Oct 30 while he was attending a meeting of the Latin American Energy Organisation. Bolivia wants to install an initial 50-MW geothermal plant at Laguna Colorada towards 2019, SeeNews said. Nicaragua has been involved in geothermal energy for overe three decades, and now boasts about 170 MW of installed capacity. 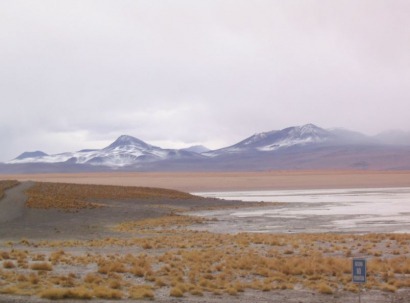 Bolivia hopes to develop 400 MW of renewable energy in the next five years, including 50-MW solar parks in Oruro and Potosi, wind energy in Cochabamba and Santa Cruz, the 48-MW La Ventolera wind project in Tarija and hydro plants, SeeNews said.